The search agency, which is scouting for UTI Mutual Fund’s next head, has slashed its list from over a dozen candidates, said people in the know. The people say Chandresh Nigam, managing director (MD) and chief executive officer (CEO) of Axis MF, is one of the top contenders, along with Kailash Kulkarni, CEO of L&T MF. Ashish Kumar Chauhan, MD and CEO of the BSE, is said to have withdrawn from the race. Text messages from Business Standard to the persons mentioned above got no response. Imtaiyazur Rahman, chief financial officer of the fund house, is also reportedly a contender; he is the officiating CEO. Sources say the appointment is taking longer than usual as the board of directors was yet to agree on a decision. 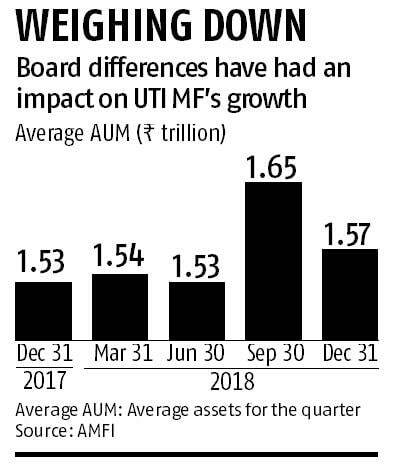 UTI MF manages Rs 1.57 trillion of assets and has been without a regular MD and CEO since Leo Puri’s 5-year term ended last August. As a consequence, its long-planned Initial Public Offer of equity continues to remain in limbo. The latter had earlier been held back by the differences between state-owned shareholders and the sole foreign investor, T Rowe Price, regarding ownership issues and on the IPO. T Rowe has 26 per cent of the equity and petitioned the high court here last August to seek extension for Puri, to keep the IPO plan on track. However, the state-owned shareholders were not in favour. T Rowe had alleged that conditions had been created to delay the selling of stake as required by regulatory norms. 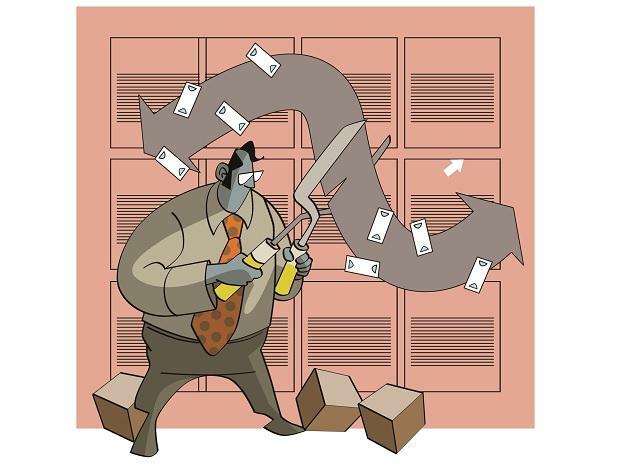 It had sought directions to ensure the four state-owned shareholders in UTI MF cut their respective stakes below 10 per cent, in line with cross-holding rules. The last date for this presently ends on March 13. “...Certain conflicted board members have begun acting as a block, disrupting board governance, and seeking to create a gap in leadership, apparently to delay progress toward selling down their stakes,” it was said on behalf of T Rowe Price.